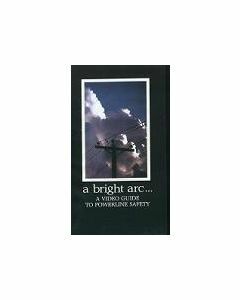 This 11-minute video deals with the dangers of working near overhead and underground powerlines. This 20-minute video tackles the topic of substance abuse in the workplace. 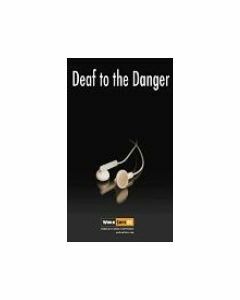 This 12 minute video identifies the four most common causes of conflict for taxi drivers and offers tips on how to avoid these dangerous situations. This DVD contains 3 video segments that illustrate the hazards of working alone in the community with aggressive and potentially violent patients, patient handling activities, and needle use. 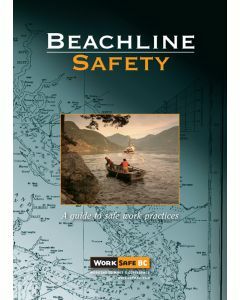 This 30-minute training video shows how beachline operations work and describes specific beachwork techniques, including how to deal safely with common problems such as jammed knots when letting go. 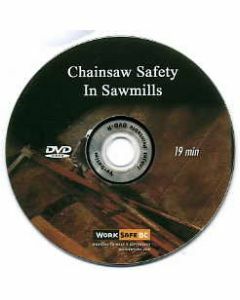 This video describes in detail the fundamentals of safe chainsaw operation in sawmills, including saw selection, personal protective equipment, saw maintenance, saw operation, and cutting hazards. Earbuds are not part of the job. 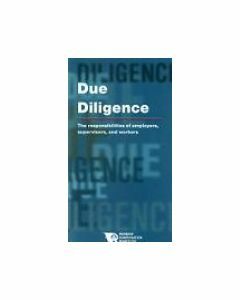 Due Diligence outlines the safety responsibilities of employers, supervisors, and workers. This 22 minute video demonstrates the common hazards associated with excavations, plus the procedures for preparing and working in a trench. 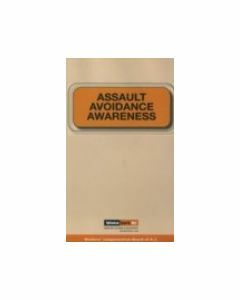 This DVD emphasizes job safety and security through planning, training and practice.